Saha chapel was built in the early 15th century and has remained surprisingly well preserved to this day. 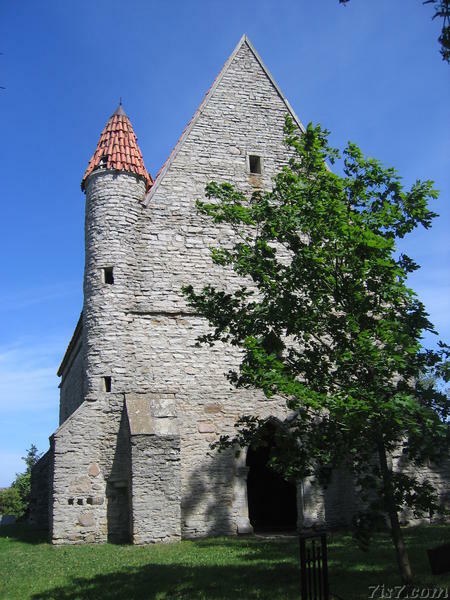 It has a distinctive corner tower and thick walls. 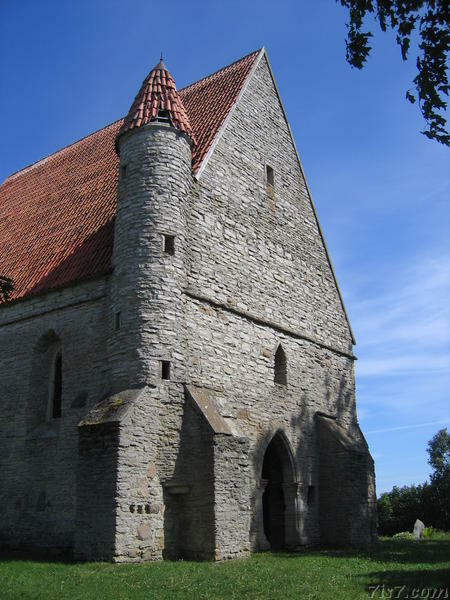 The location was one of the first Christian places of worship in Estonia dating back to the early 13th century, when there was supposedly a wooden church for several years. Location: 59°25'14"N 24°58'58"E on: Google Maps, OpenStreetMap, Maa Amet.